Cleaning. Sanitizing. Prepping. A patented process. Our artists will clean, prep and sanitize your travertine at the same time with a deep penetrating cleaner – lifting stains, mold and sealers in the surface. They will make your stone glisten again with no stains. Deliver your travertine stone that fresh look it deserves, with our patented travertine restoration service in Manhattan. Locking out the grout stains. After cleaning travertine, sealing the grout. After cleaning travertine, the grout should always be sealed with a quality cleaner, else stains will take place throughout the entire surface. 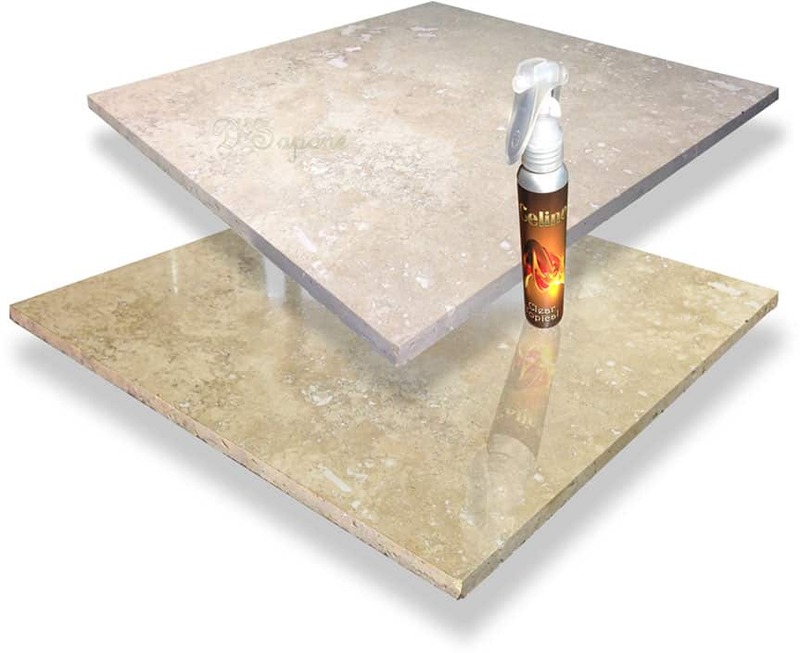 Our pigmented titanium sealer- Caponi® not only color seals all the grout lines, it locks out all the stains permanently while penetrating deep into the surface. We carry a 5 year labor warranty on our grout sealing service. Travertine holes and pits repaired. We don’t only repair the travertine holes, we also color match the product. Then, we polish the holes and blend them into the surface. 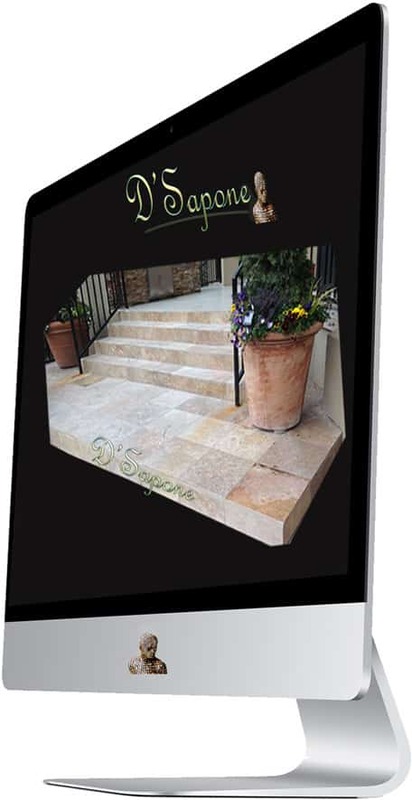 Experience a fresh smooth travertine stone with no holes or pits. Also, we provide a 5 year labor warranty on our travertine restoration service in Manhattan. Travertine cracks diminish the value of the surface. 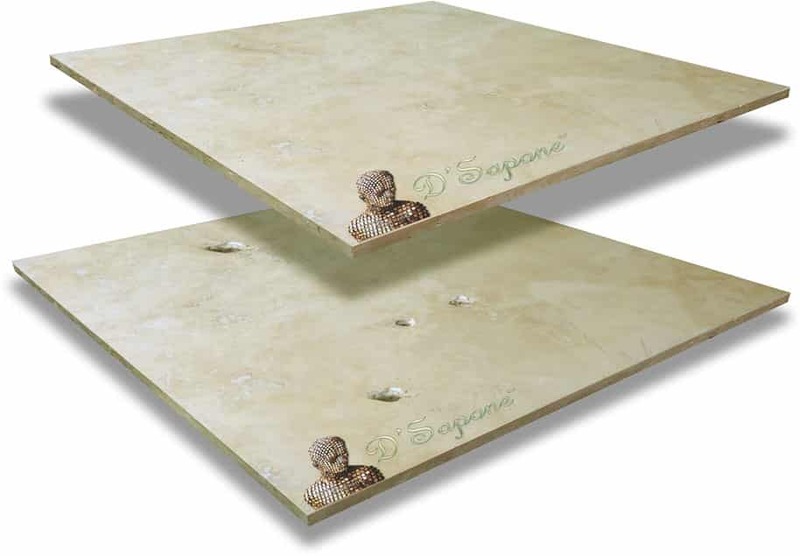 We color match the Sentura to the stone and then, rectify the cracking issue while blending the cracks into travertine. Sentura makes the cracks look natural with its sleek lines. A natural look travertine sealer. Travertine sealing is one of the essential parts of the restoration. 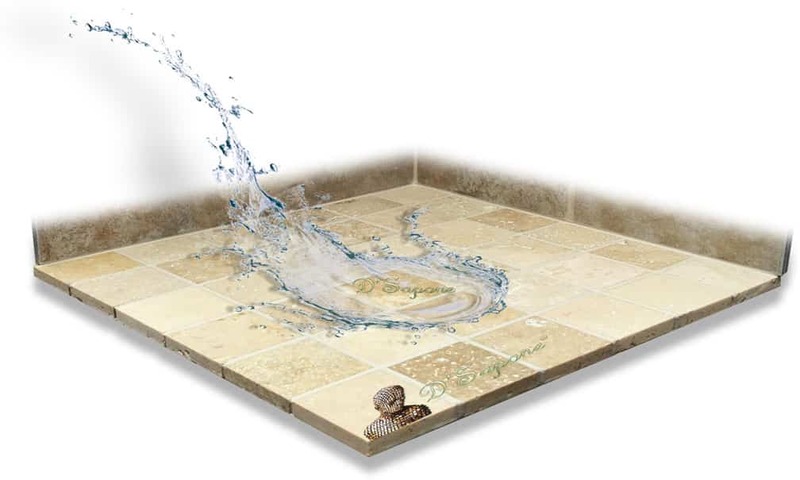 Our natural look stone sealer – Repela-Bond delivers a hydrophobic appearance to the stone protecting it from stains and mold for a lifetime. 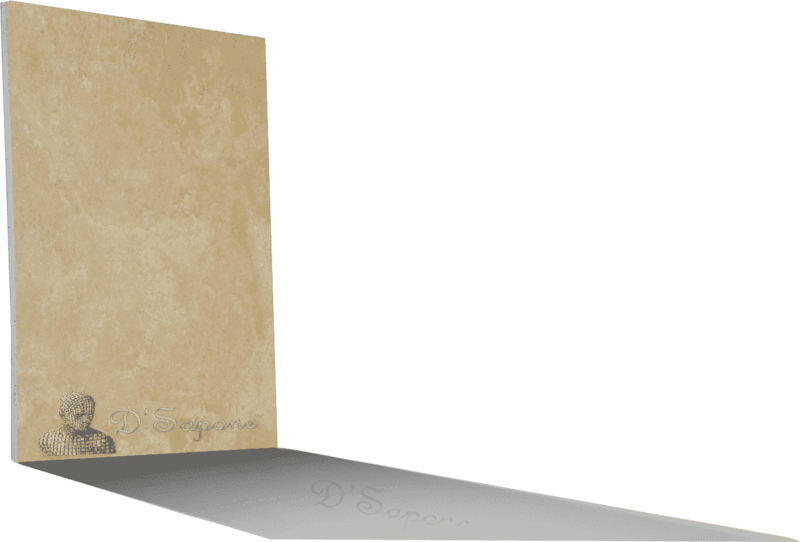 It doesn’t change the look of travertine. Our travertine restoration service in Manhattan will ensure the stain-free and mold-free stone surface. We use the world’s best stone sealer – Celine, a clear topical solvent based sealant, waterproofing the surface while adding a lush sheen. It soaks deep into the stone preventing stains and mold from taking place. 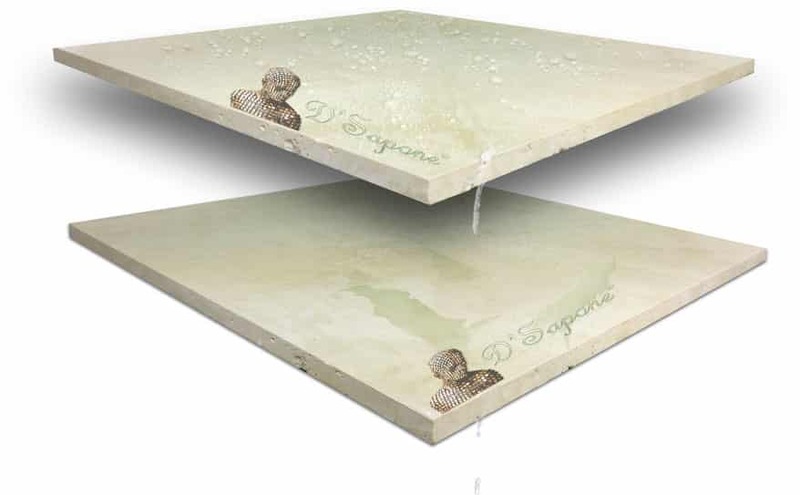 Notice in the picture, the top travertine is sealed with Celine and it has a waterproofed surface, while the bottom is untreated and allowing the occurrence of stains. From the way your travertine looks to the way it shines, we will make it look shiny again with our patented polishing process. Stone etching – the biggest issue with polishing, shows up, until now. 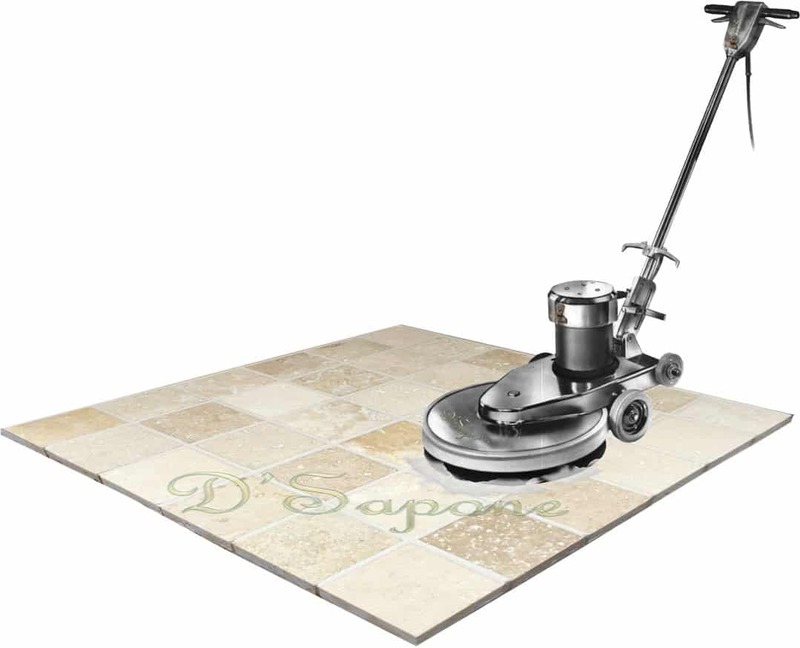 Once we polish your travertine, you will have its real beauty with no etching or staining issue. Our artists use exquisitely designed products from pFOkUS®, while delivering a professional travertine restoration service in Manhattan. 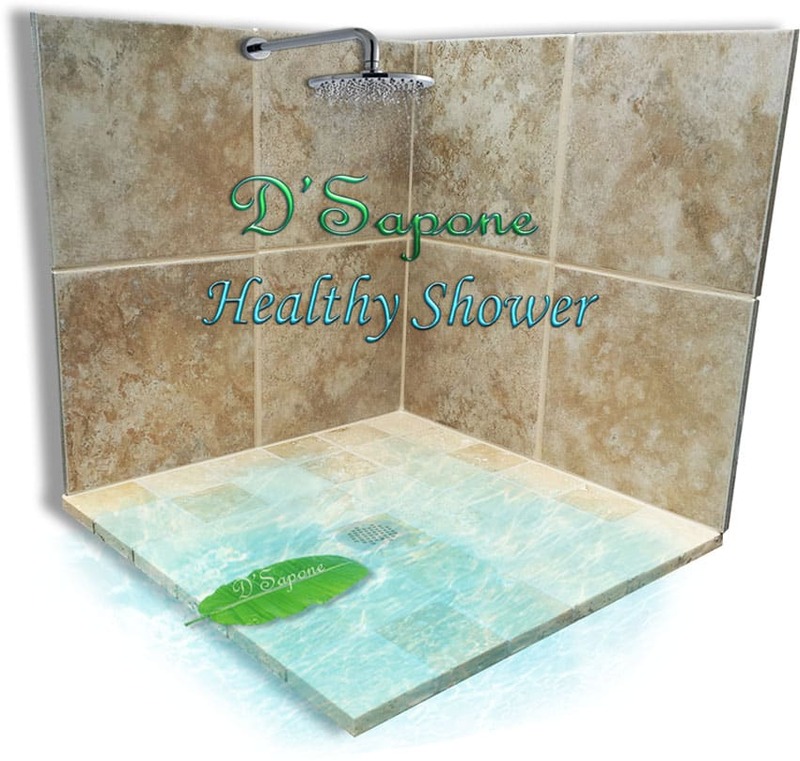 Travertine is very demanding within showers, but it will lose its luster if not gotten the correct service. We will restore your stone at a fresh level with our ‘Healthy Shower’ service, including cleaning, caulk elimination, sealing and polishing processes. 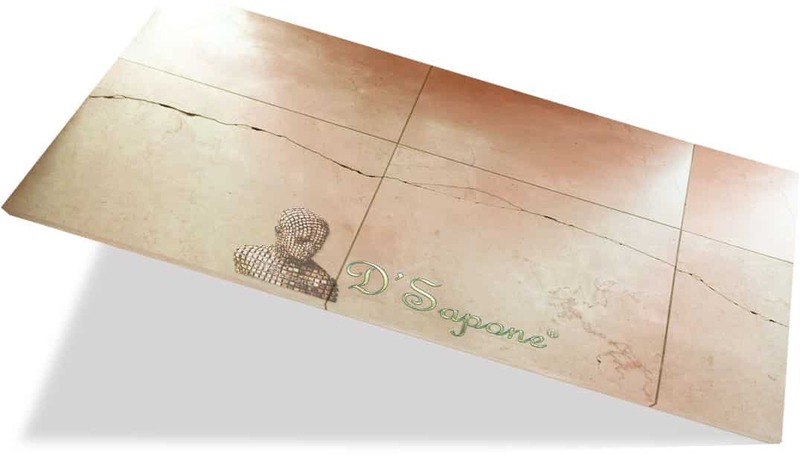 D'Sapone® is the only company, offering this service with penetrating cleaners and natural look sealers. 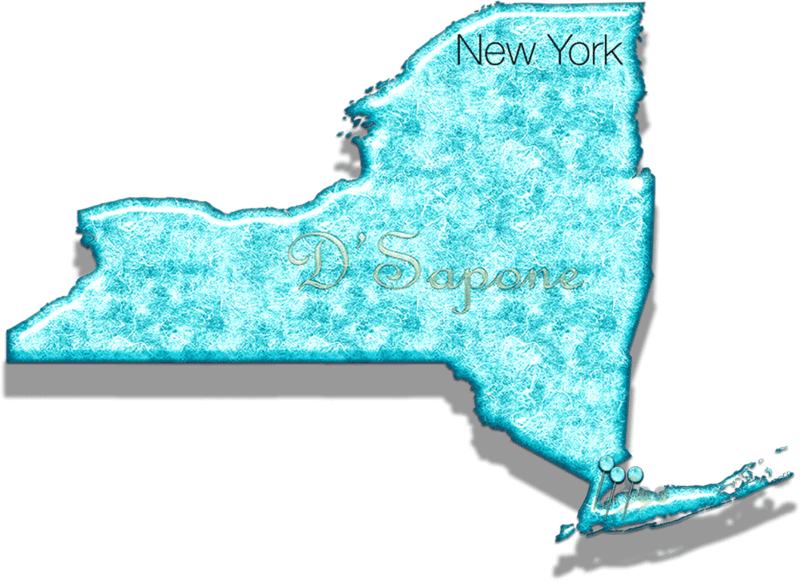 Travertine restoration service in Manhattan. Travertine restoration is an art our Manhattan artists came to master. They can make your travertine stay and look new for a lifetime. Call us or send pictures and receive your free estimate today.